Chinese news outlets report that Tiangong-1 is built to serve as a rendezvous and docking platform for China's future spacecraft. Once in Earth orbit, it would be followed by blastoff of an unpiloted Shenzhou-8 spacecraft in the latter half of this year, to carry out the nation's first space docking. 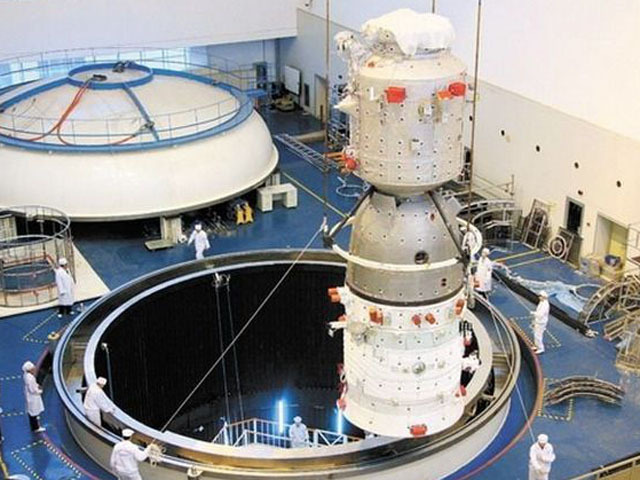 The quest by China to move into space station development began in early September 2008, following the first spacewalk by a Chinese astronaut -- Zhai Zhigang -- during the three-person Shenzhou-7 mission.